Titaan’s debut, crafted by one of the 2 creative sides of Digir Gidim, was one of the hypes in the esoteric and occult Black Metal field on 2016. 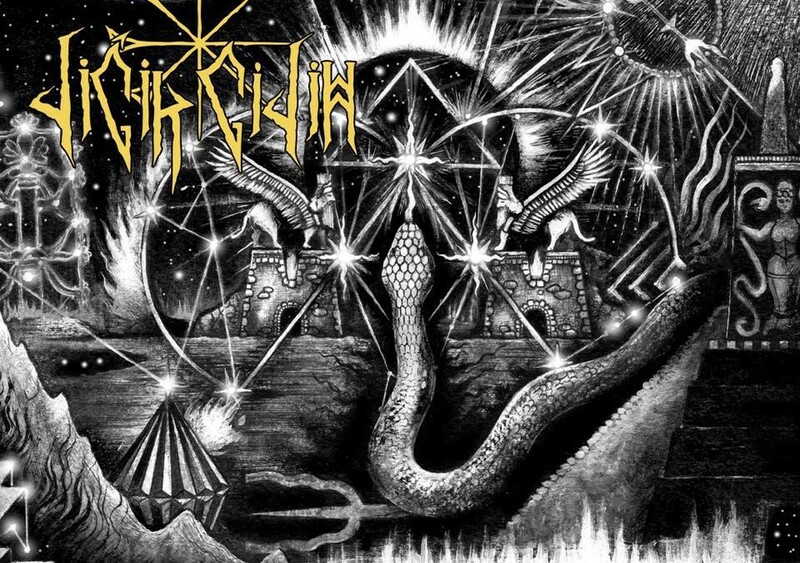 Ritualistic choirs performing a unique Sumerian archaic atmosphere are blended into deep and profound sounds and the poisoned Black Metal guitar lines, not merely playing on the usual fields but carving deeper and deeper into the listener subconscious halls. References can be somewhere found on the Spektr & Blut Aus Nord more inspired musical rites, but the personal concept, the musicality of each song and the sense of understanding of the pillars of the creation make “I Thought…” a remarkable album, hard to be compared. Digir was a cuneiform symbol made to represent supreme divinity An or Anu, It also denotes a God if it’s placed in front of a name. Ego, the rotten gift of civilization and all religions related to the 4 senses is dissolved on a primordial return to elevate the supreme will.. This process has to pass through 7 portals, transcending the meaning of good and bad as lately managed by dominant modern religions, following instead the Sumerian path. Not to be slaves but to become a unity the them and the universe, the ancient gods. On the first chapter the coming of Utanapištim Ziusudra, half man, half god and Lalartu, the phantom god faceless and intangible, bringer of the inner lights on this corrupted world. Superb Artwork by Luciana Nedelea perfectly tuned to the music.